Headaches are common and just like adults, children can experience different types of headaches, including migraines in children. Migraine is a moderate to severe throbbing, pounding or pulsating pain or discomfort felt in the head. Headaches of this type usually last from two to four hours and may occur several times a month. Moreover, these migraines can disrupt daily activities and do not disappear and come back during course of migraine. Migraines can be genetic, thus some children may be more prone to migraines as compared to others. However, migraines in children are more common in boys than girls until menarche. 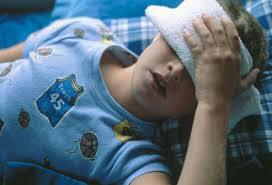 Migraines in children are generally different from those experiences by adults, hence it is commonly underdiagnosed. It may be difficult to diagnose children with migraine due to the different types of migraines. Symptoms vary from child to child and the type of migraine. The greatest characteristic of migraines is the throbbing, pulsating pain in the head. For children, it frequently affects both sides of the head. It is generally recommended to identify what trigger migraines in children. Prevention is better than having to treat a symptom. However, when symptoms begin to manifest, treat these symptoms to prevent the attack from further developing. Sleep may improve the child’s condition even without treatment. Not all over-the-counter medications can be given to children. Acetaminophen and ibuprofen may be given to children to relieve them of migraine. However, talk to the doctors first before giving aspirin, as it is associated with Reye’s syndrome, a potentially fatal condition, in children. Advise the child to drink plenty of fluids, especially water, to avoid dehydration. An ice pack may be placed on the forehead. Disclaimer: The information provided above does not substitute for medical advice or diagnosis. To learn about more about how to treat migraines in children and in adults, register to join the nearest first aid training available.